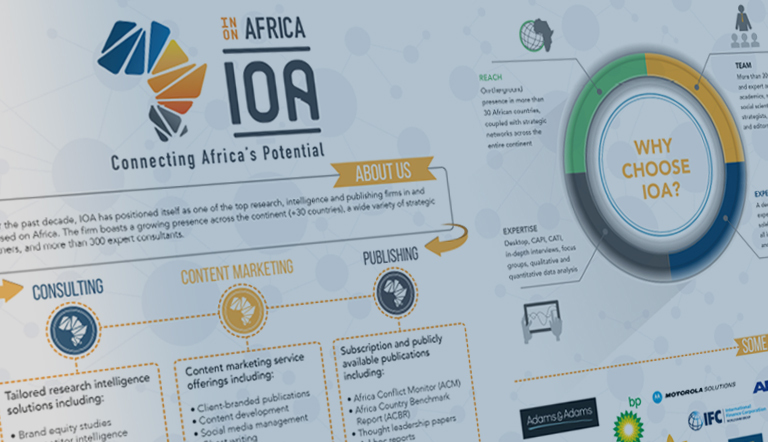 Over the past decade, In On Africa (IOA) has positioned itself as one of the top research, intelligence and publishing firms in and focused exclusively on Africa. The company works with a wide array of clients across the African continent through its complementary divisions, service offerings and insight-driven products. The infographic provides a snapshot of IOA – its core offerings, mission, values, vision and key differentiators.